Shelby County Public Library in Shelbyville, Indiana rocks! Last Saturday, some serious Iditarod fans joined us to talk trail. Thanks for having us! Noggin is finally starting to get the hang of posing for photographs which was a good thing last Thursday night at our talk in Hope, Indiana. We had a fun crowd at the Bartholomew County Public Library (Hope branch) and everyone wanted shots with Noggin, the rowdy star, who for once didn’t snooze on her bed the entire talk, but instead browsed the aisles looking for a good book. She is a VERY smart dog, you know! A big hug and thank you to our friends, Sue and Larry and GOAT, for stopping in and surprising us. We always love seeing you. Goat, Romano’s brother, is quite the sweet talker and has the most creative vocabulary of ANY dog I know. Noggin was quite impressed! Thank you to the Centre Township Branch Library in South Bend, Indiana for such a warm welcome and fun afternoon! Such a gorgeous library window display! Thank you to Kate Walters and her dad, and the staff and students of Meadowbrook Elementary School in Forrest, Illinois for making Romano and me feel right at home! We really enjoyed our afternoon “talking mushing” with you. The students were an engaged, well-prepared (they knew all of the answers! ), and perfectly-behaved audience. It was a fun day. The Iditarod Sled Dog Race begins Saturday, March 5, 2016. 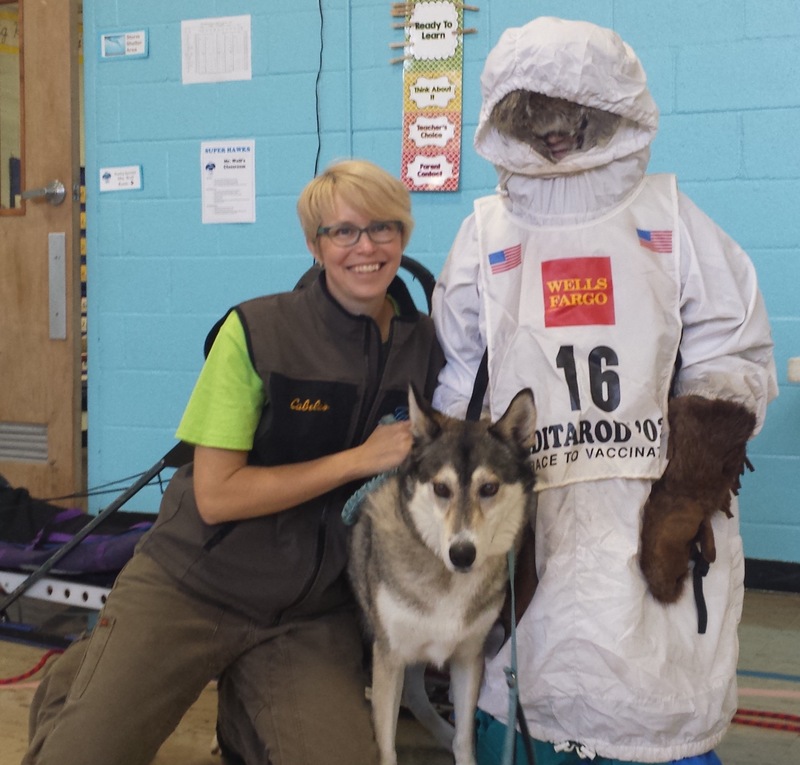 If your school or library is interested in an Iditarod presentation or Skype session, email me now to get on the 2016 schedule. MUSH! 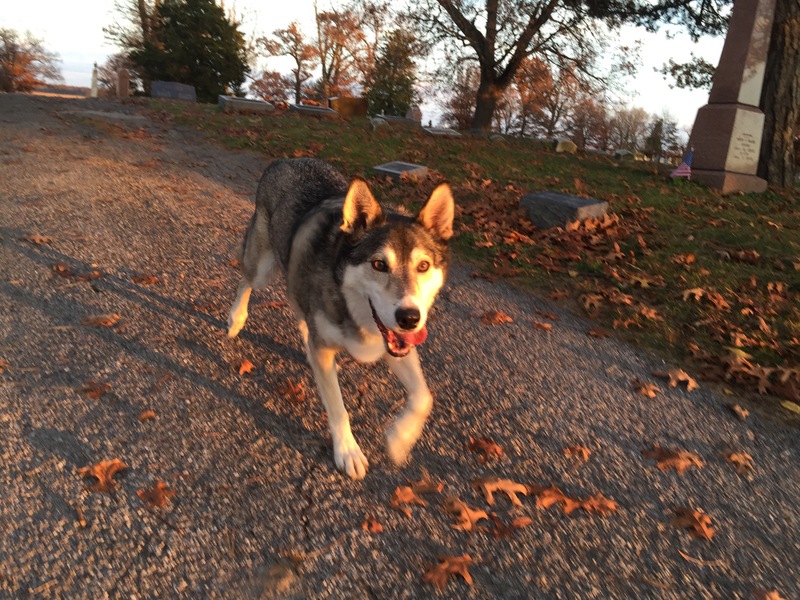 Romano enjoying a free run through the beautiful local cemetery after the talk.